Would a Resentful Justice Kavanaugh Derail Juvenile Justice Reform? The furor over Supreme Court nominee Brett Kavanaugh’s alleged sexual misconduct as a 17-year-old raises questions about how he would rule on key juvenile justice cases, a John Jay College conference was told Thursday. 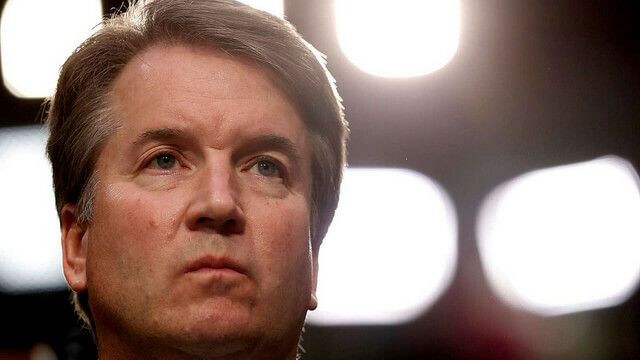 “I bet you [Kavanaugh] is going to be pretty pissed off about how we all tried to derail his nomination with something he did when he was 17,” said Elton Anglada, president of the Juvenile Defender Association of Pennsylvania. Anglada said that if Kavanaugh were asked to rule in cases that required the Court to re-examine previous rulings establishing that youths under 18 could not be held legally responsible for criminal acts, based on scientific findings about adolescent brain development, he might be tempted to turn his current critics’ words against them. Editor’s Note: Kavanaugh was confirmed 50-48 in a full Senate vote Oct. 6. In several landmark rulings, the Court has steadily chipped away at previous legal precedents that allowed individuals to receive the death penalty or life-without-parole sentences for crimes they committed as minors. The justices ruled in Roper v Simmons (2005) that it was unconstitutional to impose the death penalty for a crime committed by a child under the age of 18, reversing a 1989 Stanford v Kentucky ruling that allowed juveniles aged 16 years or older at the time of their crimes to receive the death penalty. Two years later, in Miller v Alabama, the Court ruled it was unconstitutional to sentence juveniles to mandatory life without parole. All three cases were the product of long, hard-fought campaigns by justice reformers to incorporate into U.S. jurisprudence findings by numerous psychologists and behavioral experts that adolescents were unable to take responsibility for their actions or to understand the difference between right and wrong. They represented significant achievements in what was an historic effort to use modern science about brain development to transform how young people were treated in the criminal justice system. But they were not necessarily settled law, Anglada said at the John Jay conference, which was organized to examine “Unfinished Business” in juvenile justice, for journalists selected as reporting fellows by the Center on Media, Crime and Justice at John Jay. Editor’s Note: The Center on Media, Crime and Justice publishes The Crime Report. According to Anglada, who also serves as assistant chief of the Juvenile Unit at the Defender Association of Philadelphia, the 5-4 decisions were ultimately carried by now-retired Justice Anthony Kennedy (whose seat Kavanaugh has been nominated to fill). Kennedy wrote majority opinions for two of them—Roper v. Simmons and Graham v. Florida, in which he cited research that found juveniles to be less mature and possess less of a sense of responsibility for their actions than adults. “These cases are going to go back up to the Supreme Court,”Anglada predicted. “And I think about myself standing in front of Kavanaugh three or four years from now arguing that you shouldn’t revisit Graham, Miller and Roper and my client should be treated differently because he’s a juvenile, and we don’t want to hold a juvenile responsible for his entire life for something he did 35 years ago. Other speakers at the conference noted that juvenile justice was returning to a “rehabilitative and therapeutic model” after an era in which one-dimensional punitive strategies dominated the approach to youthful criminality. The era was driven by a false narrative of the emergence of youthful “super-predators” responsible for a wave of violence, fanned by media sensationalism and several academics, said Michael Umpierre, a senior research fellow at the Center for Juvenile Justice Reform of the McCourt School of Public Policy at Georgetown University. But since the beginning of this century, a “developmental approach” based on the notion that punishment should be developmentally appropriate for adolescents has been “taking hold across the country,” Umpierre said. The number of juveniles locked up in prison is half that of a decade ago. “The developmental approach embodies the recognition that adolescents are different than adults and from children too,” he added, noting that the number of juveniles now locked up in prison was half that of a decade ago. Researchers, advocates and legal experts told the conference that significant juvenile justice challenges remained—most importantly the racial and ethnic disparities that affect authorities’ responses to juvenile misbehavior—and they warned that federal support for addressing those disparities was now in doubt. 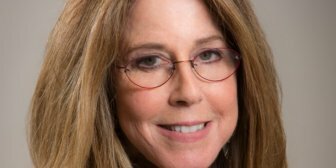 “It’s impossible to talk about youth justice without talking about race,” said Marsha Levick, deputy director and chief counsel of the Juvenile Law Center, noting recent decisions by the Office of Juvenile Justice and Delinquency Protection (OJJDP), to stop collecting data on disproportional minority impact, and return to a more punitive language in addressing juvenile misconduct. “They don’t think about how to treat kids as if they were their own kids,” he said, noting that 58 percent of young people detained in juvenile facilities were African American, although African Americans represented just 16 percent of the U.S. juvenile population. At least 36 states have enacted major juvenile justice reforms in the past decade. Kim Dvorchak, executive director of the National Association of Counsel for Children, said that despite reforms enacted by state legislatures —some 70 pieces of legislation in at least 36 states have enacted major reforms in areas ranging from raising the age of adult jurisdiction to removing youths from adult prisons over the past decade—there were still major shortcomings. “Florida has prosecuted 7,800 children as adults in the name of public safety,” she said. Yet future reforms in juvenile justice may now be held hostage by a new Supreme Court Justice embittered by what he regards as an effort by liberal reformers to wreck his nomination, according to the Philadelphia Defender’s Anglada. “The doctrine of adolescent development is the most positive advance (in juvenile justice) we have seen since 1998, showing that juveniles have the capacity for change,” Anglada said. This story was prepared from reports by J. Gabriel Ware, Nancy Bilyeau and Stephen Handelman of The Crime Report. Readers’ comments are welcome. Some commentators argue that Brett Kavanaugh will shift the Supreme Court to the right, based on metrics that show him more conservative than retiring Justice Anthony Kennedy. But a close look at how Kennedy voted in more than a dozen cases reveals he was far from a “moderate” on criminal procedure—which suggests Kavanaugh might actually move the court towards the center on those issues, writes a former federal prosecutor.